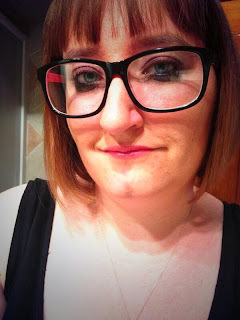 Fiction Dreams: Say hi to Leah from Chick Lit Reviews and News! Say hi to Leah from Chick Lit Reviews and News! As well as authors, I also love interviewing people in the book blogging world, and today I'm delighted to have the lovely chick lit-loving Leah from http://chicklitreviewsandnews.com ! I really don't, not properly. I've racked my brains for ages thinking about when I first started reading. I suspect it was in Primary School, with the reading you have to do as a kid. From there, I got into Jacqueline Wilson and Enid Blyton but I admit to not really remembering until I started reading at 18 with Chick Lit! Ooh, this is a toughie! I barely remember any of the books I read as a kid (I barely remember *being* a kid hehe) but I would say my absolute favourite kids book was The Suitcase Kid by Jacqueline Wilson. I remember I read it so many times! Chick Lit, without a doubt. It's been my favourite genre since I was 18 or so. It appeals to me because of the romance in it. I love a novel that features a happy ending and 99% of the time a Chick Lit novel will give you a happy ending. However I don't exclusively read Chick Lit - I've broadened my horizons and I now read Young and New Adult, I read the odd crime book, basically if I like the sound of it I'll buy and read it but mostly it's Chick Lit, and I love it. Can I cheat and tell you the last four because the fourth last book I read was utterly amazing! Here they are: Model Misfit by Holly Smale (LOVED IT - I want to be Holly Smale), Finding It by Cora Carmack (this book blew me away so badly, the best of Carmack's books so far), The Gravity of Us by Kristen Zimmer (not perfect, had its flaws but it was something entirely different to what I normally read) and Take A Look At Me Now by Miranda Dickinson (like one big love letter to San Francisco and I adooooored it). I hate this question! I basically would just like to give you a big long list because there are so many authors who I'd say are my favourites. But I'll try and keep it short. Sophie Kinsella, Paige Toon, Gemma Burgess, Cecelia Ahern, Miranda Dickinson, Melissa Hill, Jane Costello. I've probably missed someone I absolutely adore, but these are generally my go-to authors! Hmmmm, this is a difficult question! That would probably be Something Borrowed by Emily Giffin. I ALWAYS state that this is my absolute favourite book of all-time (though there are others that are tied with it). It's one of the first Chick Lit books I ever read, and it's one I can go back to time and time again and re-read without getting bored. It is truly amazing and it is easily Giffin's best book. It's so good I own three copies of it. Gemma Burgess. Gemma Burgess deserves to be on the same par as Sophie Kinsella, Paige Toon and the like. She's the author of three books (so far!) and I think she deserves so much more recognition than she gets. She writes Chick Lit the way it should be written - with unnerving honesty and she is an outstanding talent. If I could go around and give every person in the world a copy of one of her books, I would. All the time! I know we shouldn't, but I LOVE a beautiful book cover. I love making collections of my books all with the same pretty covers (and it then drives me nuts when publishers decide to go in a new direction grrr!). I'll even go so far as to buy a set of books with a new cover even if I already own them (as I did with my Paige Toon collection). Covers are so important and it's the only disappointment when reading on my Kindle - I can't choose a book by its cover, it has to be from what I remember of the book and it's so hard! (Though hopefully less so when I get my new Kindle Paperwhite, yay). What kind of book would you like to read that you haven't seen yet? For example, a dystopian chick lit or sci-fi romantic drama?I would like to read a straight-up Chick Lit book without a love rat ex, they're flipping everywhere! I'd also love a novel that's just a pure romance between a girl and a boy with no stupid separation just before the end of the novel - it always happens! Oh, many things. A stupid heroine who doesn't know her fingers from her toes. Heroines who get everything they want without having to do a single thing. Heroines who say they're fat when they're not. Men in the novel that WE know are idiots and shouldn't be given the time of day, but the heroine always falls for the idiots. I'm a surprisingly fussy reader. There seems to be certain things you have to tick off if you're a Chick Lit writer, something that must get passed around from author to author and I hate novels that JUST tick off that list and don't do anything more. It's like I can mentally check them off as I'm reading. I love to read at home. Either in my bed (which I only do in the evenings) or on the settee. I generally have to read where it's quiet because otherwise I can't concentrate, but I have widened my reading horizons and sometimes before work I'll go down to the beach and sit there and read for a bit, it's so beautiful down there! It changed on a regular basis, but the one I remember most of all is air hostess. It is never, ever going to happen now, but that's what I wanted to be. I liked the idea of visiting the world on an aeroplane! Now, I just want to own my own bookshop. JENNIFER LAWRENCE. I love her so much. No words can do her awesomeness justice. Top drink to make you tipsy? Strawbery and Lime cider. Sky high heels or closer to the ground? Closer to the ground, I cannot walk in heels! E.L. James or Jilly Cooper? Neither. Sophie Kinsella. Cry baby or tough cookie? Bit o' both, but mostly cry baby. 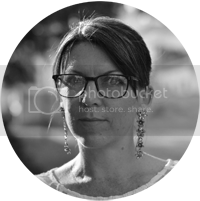 My name is Leah, I am the site owner, editor and contributor. I’m 23, I live in Tenerife and I work at Iceland. I adore Chick Lit and have done since I started reading novels. I’m also a big fan of movies, American TV shows (The Vampire Diaries, Suits, Chicago Fire, The Closer, HIMYM, The Big Bang Theory & more), football (the British kind, thank you), Manchester United and formula one and Fernando Alonso.